I know I mentioned before how we used to not think too much about what our children ate, as long as it wasn’t too bad for them and they were able to get full. 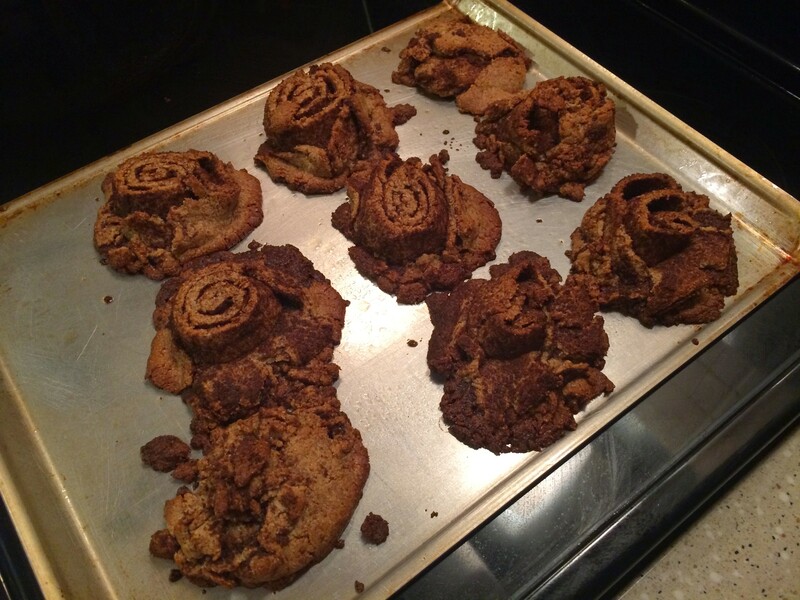 But now that our mindset has changed, it is still hard to get the thoughts of cinnamon rolls and monkey bread out of the mind of my daughter as she still thinks about the tasty packaged food that we used to partake in multiple times a week. One thing that I hadn’t found as a good option was a good Paleo cinnamon roll recipe. 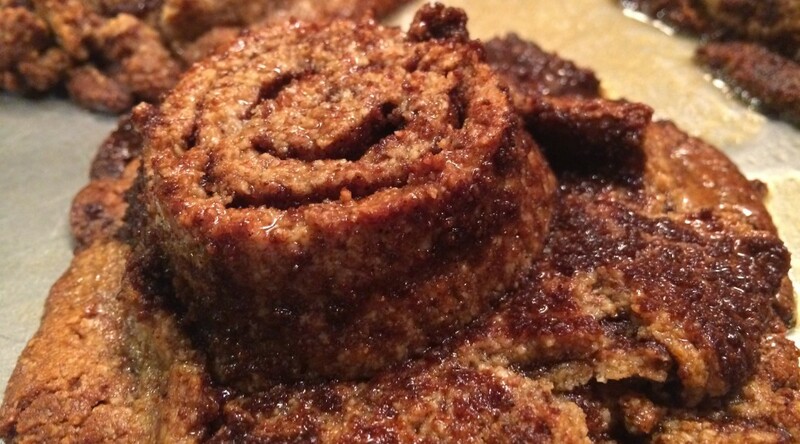 There is the anti-paleo gluten free cinnamon roll recipe that I use from time to time that uses the Bob’s Red Mill Pizza Dough mix as the base, but it obviously isn’t ideal. 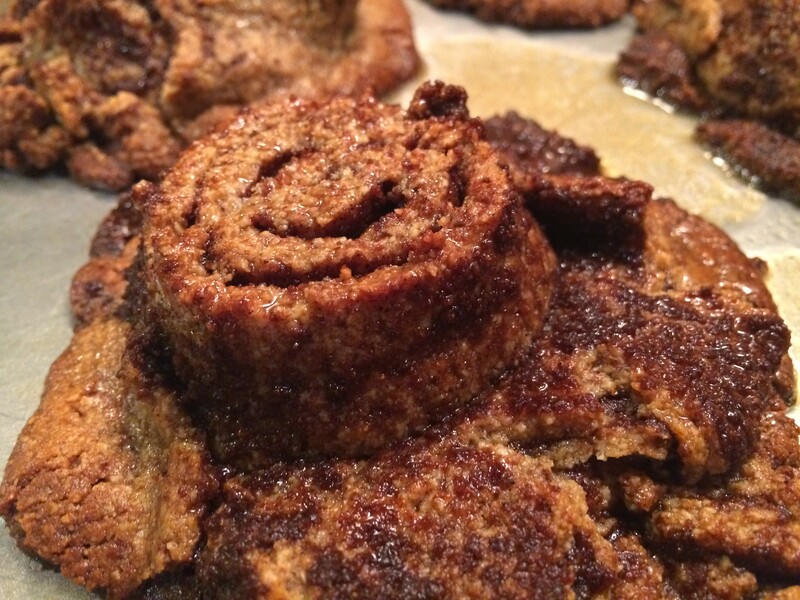 I somehow came across a recipe for Paleo Cinnamon Rolls sometime back and decided to give them a shot. It was from an email newsletter that my dad had forwarded to me since he knew this was one recipe I had been looking for. I am very happy with the results. Unfortunately it isn’t on the site and I don’t feel comfortable posting it since it is part of an overall book, but I’ll link to the site and to the site that sent out the original newsletter in hopes you can find the recipe. I know it isn’t perfect, but goodness they were tasty. Again, not the exact same as the cinnamon rolls we used to get, but very tasty and the kids thought they were in heaven! The next time though, I need to remember to roll them tighter so that I don’t have them fall apart at the bottom like you can see in the pictures. Leaving room in between layers does not do well for shaping the Roll.